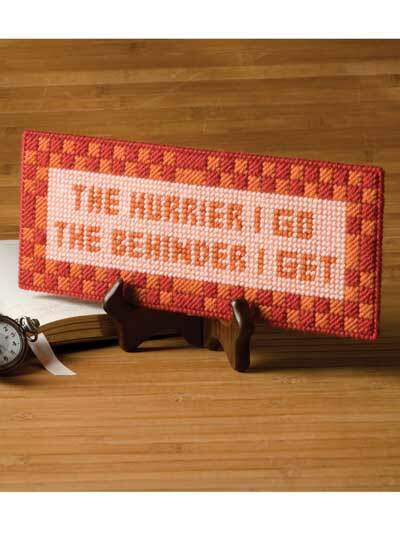 Stitch 3 expressions to be displayed in your home or office. 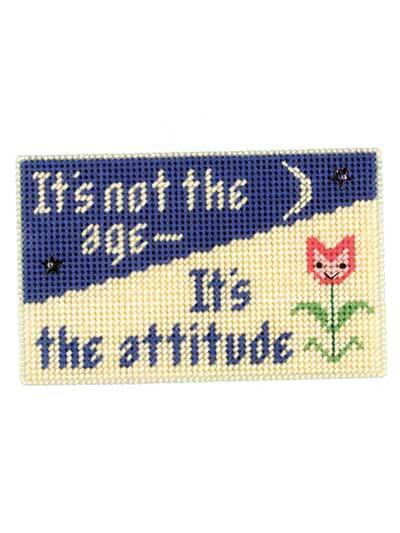 It's Not the Age sign is stitched on 10-count canvas using 6-strand embroidery floss. 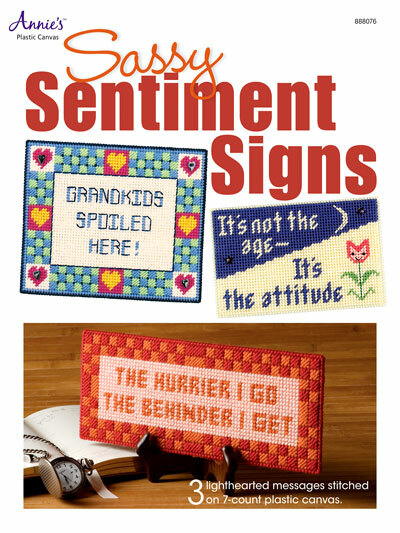 Grandkids and The Hurrier I Go signs are stitched on 7-count using worsted weight yarn. 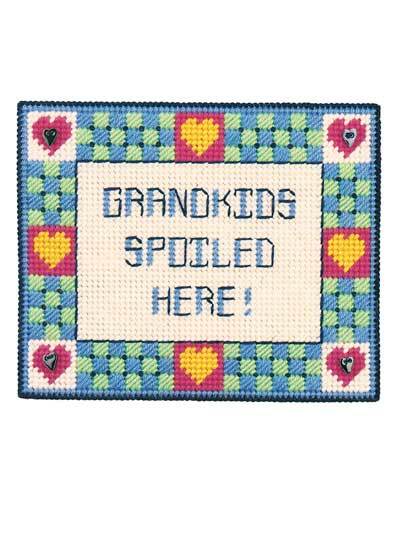 Sizes: It’s Not the Age -- 12" x 4 7/8”; Grandkids - 10" x 8 1/4"; It's Not the Age -- 6 1/8" x 3 7/8".